When you think about what makes a planet special, maybe you think about its size, its composition, how far it is from the Sun, and maybe how large its collection of apples is. You are probably not thinking about its density. But maybe you should be. 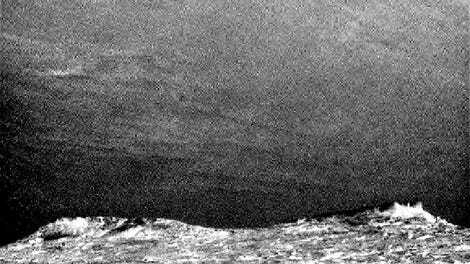 Scientists previously assumed, well, Mars is a big rocky planet, it’s probably kind of dense. But after a few calculations, one team of researchers in the United States made a new model of just how dense Mars’ crust is, with the hope that it could elucidate the makeup of the planet’s rocky surface. Turns out, it’s lighter than they assumed. How light? The researchers estimated a density of around 2580 kilograms per meter cubed, or 2.58 grams per cubic centimeter. That’s even lighter than the Earth’s continental crust at 2.7 grams per cubic center. But who cares? Well, according to the paper published recently in Geophysical Review Letters, “characterization of the crustal structure thus provides important constraints on a planet’s formation and subsequent evolution. The average bulk density of the crust is a fundamental parameter in geophysical studies, for example, in determining the planet’s crustal thickness, the mechanisms of its topographic support, and its thermochemical evolution.” In other words, the density of Mars’ crust can help shed light on how its surface formed, how it has changed over time, and why Mars looks the way it does today. Past simulations based on lower-resolution models of planetary gravity have put estimates of rocky planet density as somewhere between 2.7 and 3.1 grams per cubic centimeter, according to the paper. 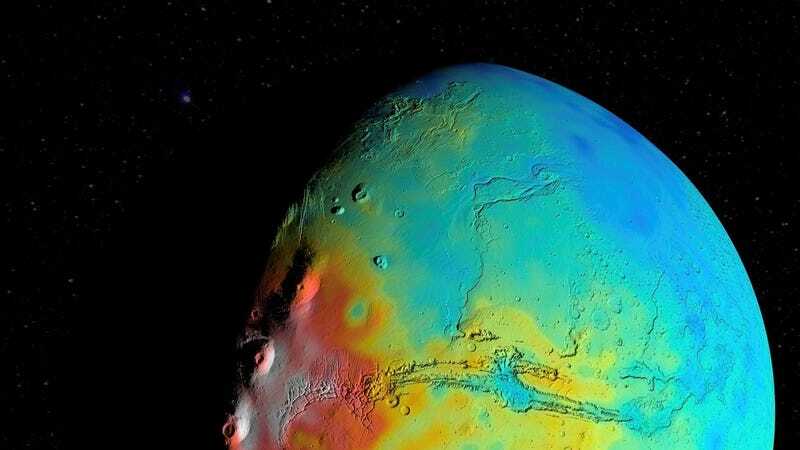 This time around, the researchers came to their result using gravitational field models, data from the Mars Reconnaissance Orbiter and other estimates of what’s in Mars’ soil. Obviously, it’s important to reiterate out that this is still an estimate with a fairly large level of uncertainty. The researchers also created density maps of the planet; it turns out that the crust’s density has wide variations and is probably denser deeper down or around volcanoes. The density is also related to the thickness of Mars’ crust, Tanya Harrison, Martian scientist and Director of Research for the Space Technology and Science Initiative at Arizona State University told Gizmodo. That means the crust is also probably thinner and more porous than previously thought. Harrison, who was not involved with the new paper, reiterated to Gizmodo how important understanding the density of a planet was for geophysical modeling and planetary evolution. She was also excited about the way the researchers got their answer. “The cool thing about this study is that the method they developed can be applied to any body where we have data about its gravity and topography,” she told Gizmodo. All of this goes to show just how much more there is for us to learn about our rocky neighbors. And we could probably get even better density measurements if we actually go and visit the planet.